OF THE ARAB WORLD & ARAB DIASPORA. PROFILING, FOOD, DANCE, MUSIC & MORE. GROOVEWORTHY, IT IS THE PERFECT TRIP. Qantara . Monolith Cocjtail . Midwest Record . Sound Roots . Roots World . 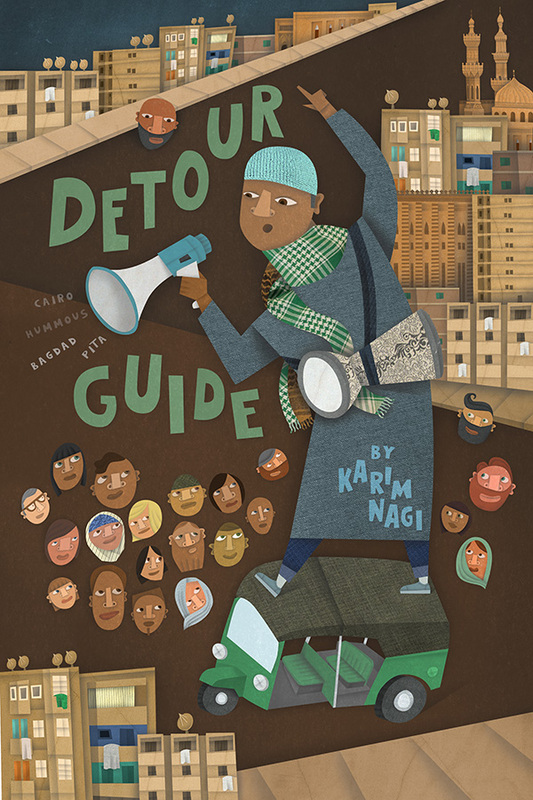 "a physical manifestation of beauty and joy"
"Detour Guide is an extraordinary work from the mind and heart of an extremely gifted and talented artist. It introduces us to an Arab world we never see in the movies or television news." "It is an adventure worth taking. 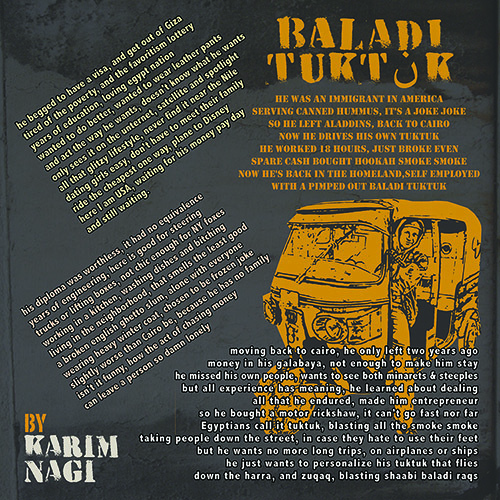 Nagi's lyrics are intriguing, barbed and catchy." 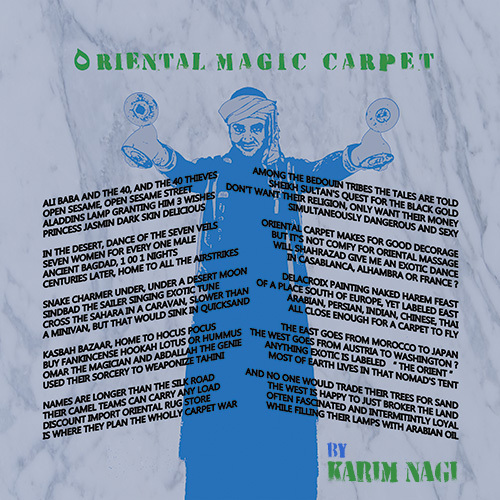 "Karim Nagi seeks to confound critics and the ignorant alike with a humorous musical whirlwind detour through the social and geopolitics of the Middle East." 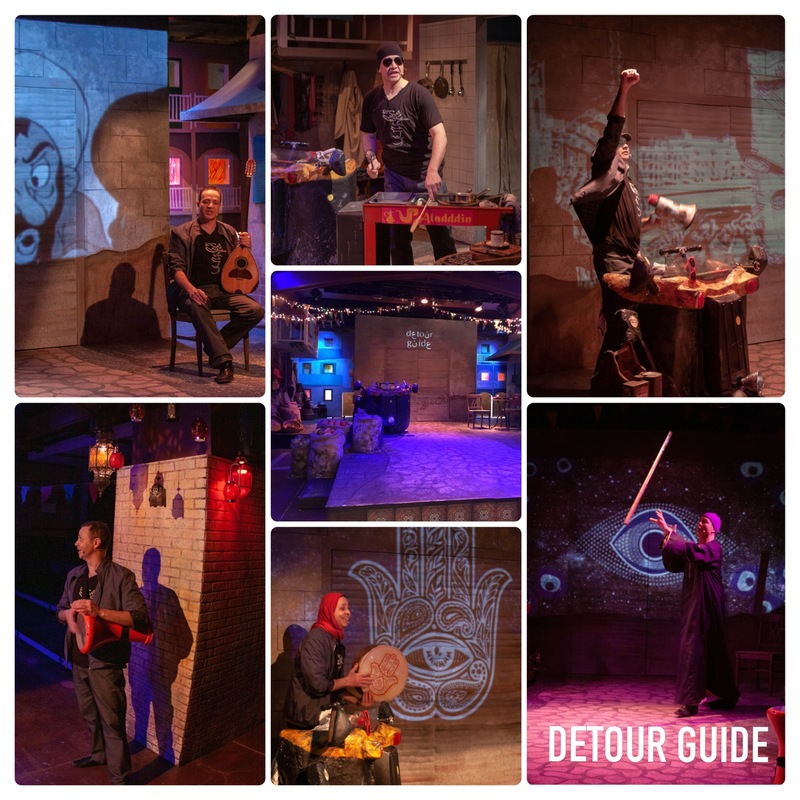 The live stage production of Detour Guide will have a 4 week run from March 11 thru April 7, 2019, at Silk Road Rising CHICAGO IL. It has become impossible for me to merely dance & play music for their own sakes. I certainly do not need any motivation to drum the riqq or strum the buzuq; they have the full power to enchant without any additional agenda needed. But how can I use their power to help assuage the major dangerous issues of our time ? Issues like racism, ethnic marginalization, and profiling ? I have always used these instruments, dances & costumes to take people on cultural tours of my Arab world. Now it is time to take a DETOUR. This new play is full of music, and I have added an itinerary. The audience become "Detourists", as the GUIDE makes stops, not in cities, but in scenes. Each scene takes a famous assumptive trope of the Arab world - Orientalism, revolution, immigration, recreation, representation - and the DETOUR GUIDE proceeds to dismantle each of them. He uses the pontificating humor and balladic recitation styles of Arab "zajal" & "rawi" practices, all re-imagined into English. 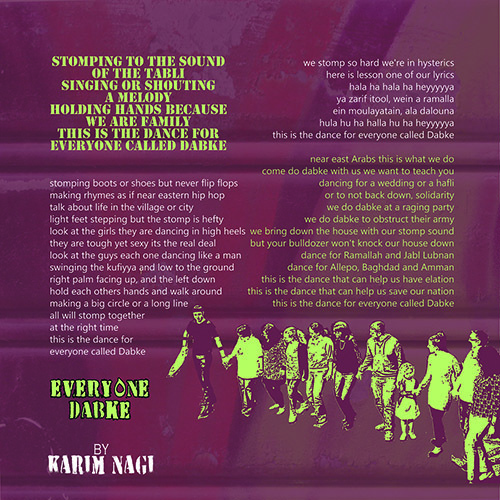 With a drum, folklore dance, imagery and oratory, he takes back the megaphone. For 80 minutes, his drum & megaphone will be louder than the 7pm news, or the Hollywood dolby-surround-sound, or the abrasive political men. You will find yourself singing these sticky song choruses after you leave the theater. But more importantly, I want you to remember the tour, so you can help guide others. But The West Goes From Austria to Washington ? Anything Exotic Is Labeled "The Orient"